Shantam is obsessed by Amrito. Amrito travels around from country to country without any fear like Sheela of prosecution. We have had different moderators over the years at SN. It was a surprise that people in other countries could not access this through youtube. Do you know anything about their policies, etc, or are individual states like India banning them? Dean, cannot understand your comment. Please supply a post or poster from the last ten years which you think we have banned, and for what? My friend was so ashamed of what happened to him he did not “come out” with the full story until the Ranch collapsed. Much totalitarianism was in place in Poona One, but less evident, and it was very easy for people to simply leave if they felt something untoward was going down. Not sure you ever went to the Ranch, but if you did you can speak from your own experience. That is not hearsay, and there are a number of us who were there writing at this blog. I think I have an understanding of the whole Ranch episode, and how it developed from the beginning. If the Existence gives me time enough I will write it down before decease. 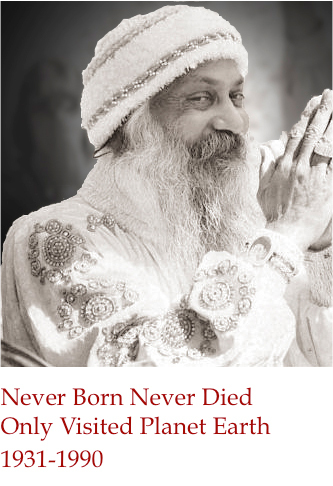 Sad to say, Frank, Osho himself ‘believed’ in western medicine and often recommended it and used it himself. I have found this common amongst the Indian elites. I trust what Surita says, and also even more so her dedication in having served Osho’s work from beginning to end. I may try and write to him about the story you were told. But do remember all sorts of things are made up around such things. Personally, I would have doubts about this story. I find it important information that the film makers did not approach Amrito. The experience I had was mine, and I do not dismiss it at all. Many fantastic experiences, and loving relationships without dependence.